So today I got back my original MM that i supplied to CC and PP that they used as the test and sample machine for the MM project. 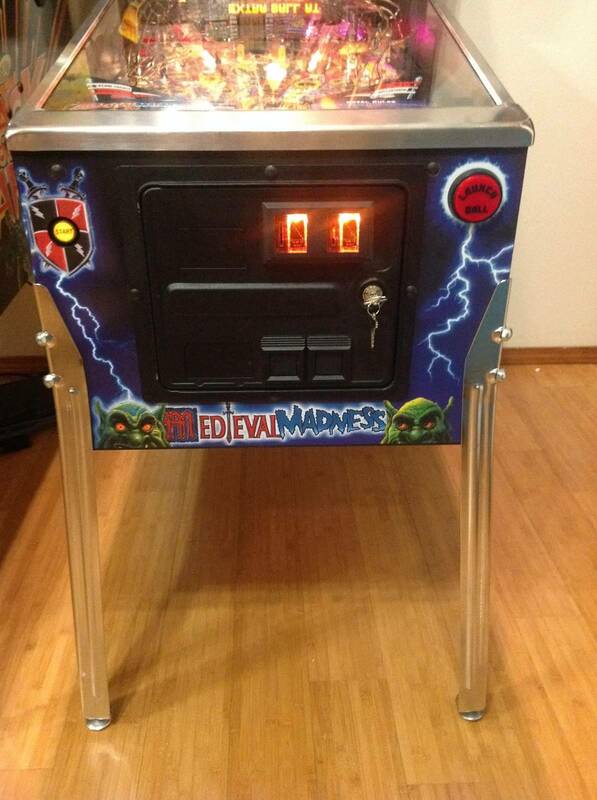 It was delivered less than than 1 hour ago along with my original cab. Got it in the house, it looks great! 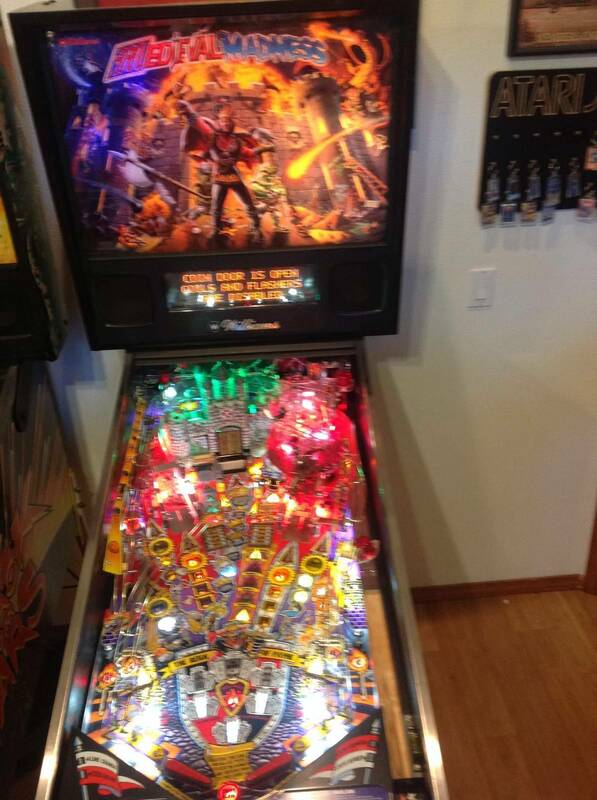 New cab and art, cleared PF, new castle, ramps, targets and toys. Looks and plays like a new pin, well I guess it's just like doing a full restore. This one is running my original harness and original boards. Smells like a new car. So now that thia is out of the way I'm sure the MMRs are right behind it. And thank you for helping make this happen. The artwork looks centered at the start button, if that is one of the new cabinets I would say that is a good sign. It is a new cab. Inside is all black and i like that. Woo Hoo!!! Oh happy day! Wow. This is huge! Very positive update for MMR. Congrats! Must be nice getting MM back into the line up. Congrats and thanks for the donation so that we can all enjoy the remake. Worth the extra waiting time I would guess. I didn't order a new one but trust me I was just as stressed as you all that are waiting. Now it's home I can relax a little. 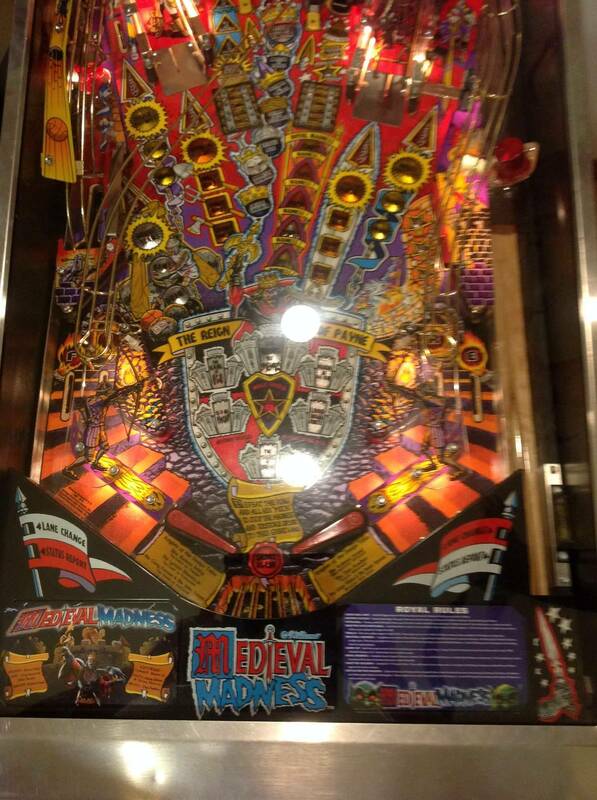 Your pinball karma points paid off...big time.Hope to see a lot more boxes soon. Just one problem to work out, the ball when it gets kicked out of the moat, dam thing goes straight down exactly in between the flippers 9 times out of 10. I don't remember it doing that on my old machine. the ball when it gets kicked out of the moat, dam thing goes straight down exactly in between the flippers 9 times out of 10. 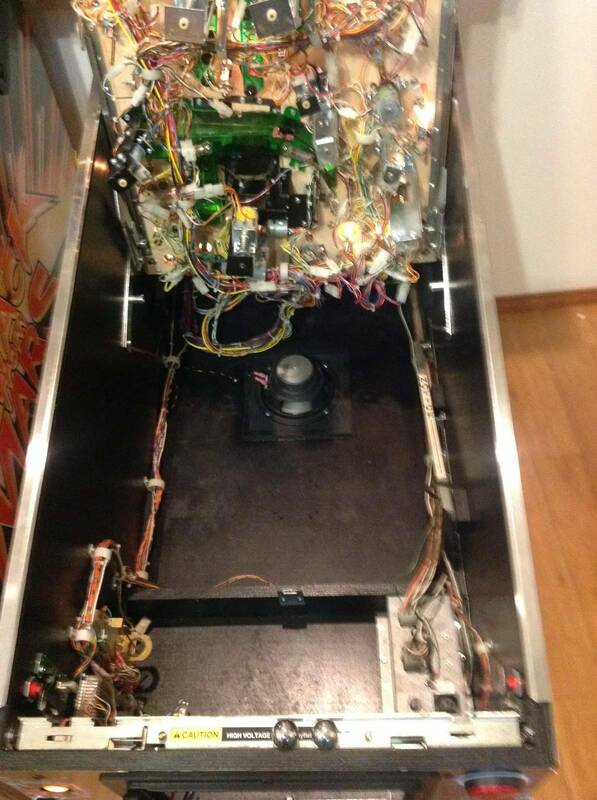 Loosen the screws holding it to the underside of the playfield and see if you can turn it enough to make a difference. Otherwise gently bend/tweak the curved part the ball hits on the way up and out. when it gets kicked out of the moat doesnt it go to the side, and then its supposed to hit your left flipper nicely. My fish tales did that (where it was supposed to hit the left flipper and most of the time it would drain right down the middle and miss the left flipper completely) and the fix was to bend the metal that guides it to the flipper a little tiny bit. 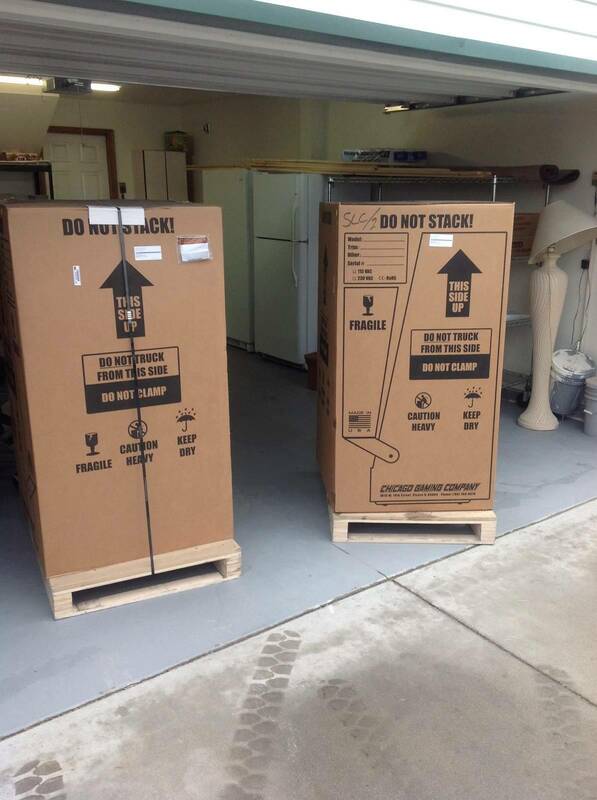 Why are there two boxes in the first picture? I believe that one box was his original cabinet. 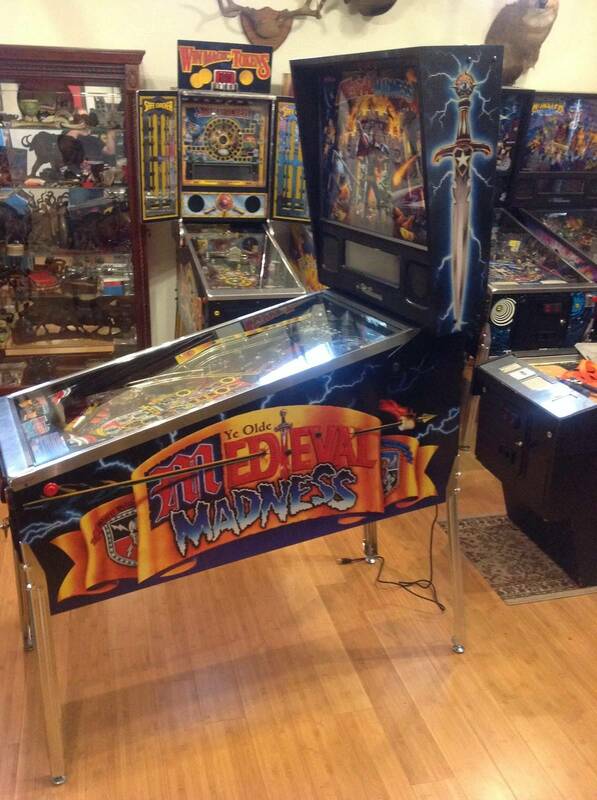 It was delivered less than than 1 hour ago along with my original cab. Looks like most or all of the brackets and metal forms are new. Lots of new coils too. Harness is nice and clean. New switches and target switches everywhere. Aww, MM and MMR had a baby. I put my red flippers in, don't panic. What a great deal you got for loaning it out! Congrats! Congrats, man! I know how much you missed it! Looks great. A great deal and a great story to go along with it. What will you do with the old cab? Might use it for another restore project. Have a cab all done and ready or somehing. I think your red flippers look better. Nice. Yep, little duct tape bump solved it, slowed down that kick now it's coming down on that left flipper. Pic of duct tape fix please? Does it have coin mechs? 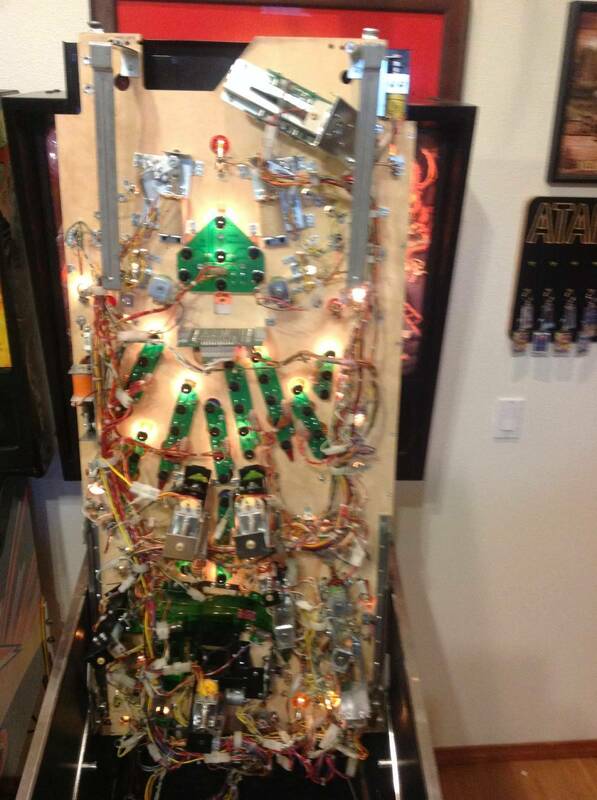 So is the playfield an original an the cabinet is a new MMR one? That's the coolest hybrid ever one of a kind! pf is a new clear coated one same as a MMR will get, new cab is same as MMR, my original harness and boards are in there. Awesome! It's a full blown restoration! Cool. Best of both. And a great deal, since it only cost you time without the game! that is just beyond cool !!!!! 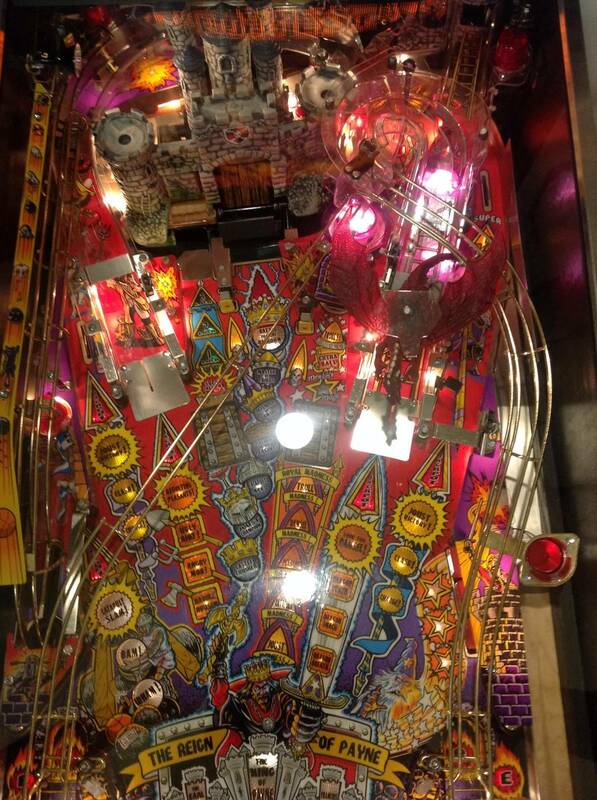 Tell us more about how does it play, and how's the playfield? I was wondering if they would be dimpled the same as they seem to have different components underneath. So the shield isn't centered on the start button...but the fire button is centered. It's one or the other really. Plays real nice, faster than before I'm sure because the clear coat. Working great, got leds back in it and I could feel the heat leave the machine, back box was really throwing off the heat. As far as the art on the cab, looks fine to me, I'm not that patjchlar when it come to that. Do you have Cliffy's or Mantis protectors in it? 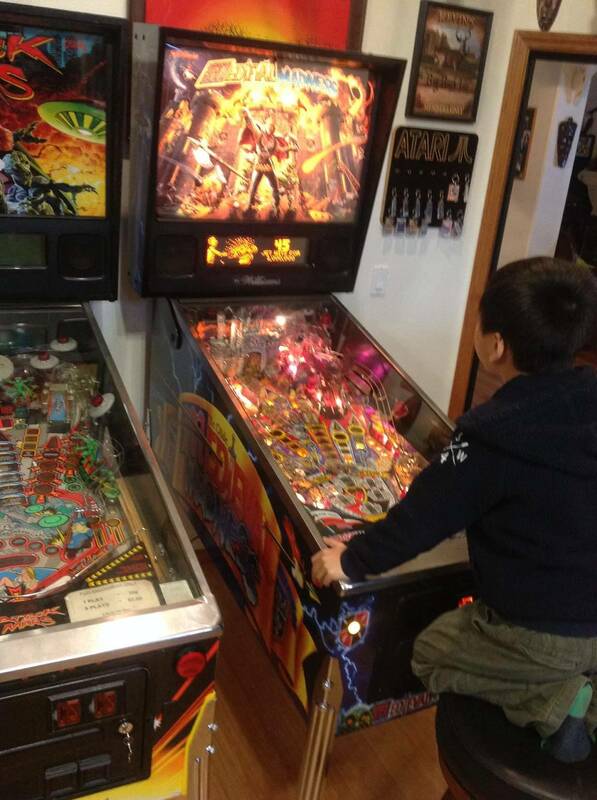 Can you comment on the fit of them in the new playfield? I am so glad that you finally got your favorite game back. Be over to check it out this weekend. I will miss the smell of hookers and shame tho.